Directed by Rick Famuyiwa. Starring Shameik Moore, Rakim Mayers, Blake Anderson, Chanel Iman, Zoe Kravitz. THE PLOT: Malcolm (Shameik Moore) and his friends Diggy (Kiersey Clemons) and Jib (Tony Revolori) are the uncool high school seniors. Obsessed with 90s hip hop, the kids are consistently bullied by their peers until they get invited to a party thrown by dope dealer Dom (Rakim Mayers). When the party is raided by a rival gang, and Malcolm discovers he has a backpack full of drugs and guns, the kids find themselves drawn into a world they knew existed, but had never truly encountered before. THE VERDICT: Executive produced by Pharrell Williams, and screened at Sundance before making it to Director’s Fortnight at Cannes, DOPE is a typical coming of age story with tons of heart and soul, and a killer soundtrack. The three young actors who play the close friends in the film, Shameik Moore, Kiersey Clemons and Tony Revolori have great chemistry together and their timing works well. Moore stands out as the protanagist, and takes his characters through a believable emotional arc by the end of the film. Zoe Kravitz plays Nakia, the pretty girl trying to better herself and Chanel Iman has fun with her over the top character Lily. 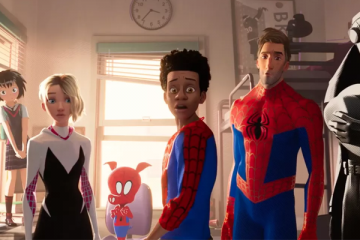 The rest of the cast is made up of Blake Anderson, Kieth Stanfield, Rick Fox, Quincy Brown and Roger Guenveur Smith, with Forrest Whittaker taking on narrating duty. Rick Famuyiwa’s screenplay feels a little like GIMME THE LOOT – which screened at Cannes in 2012 – mixed with any film about drug dealing you care to name… PINEAPPLE EXPRESS?! Yeah, lets go with that. 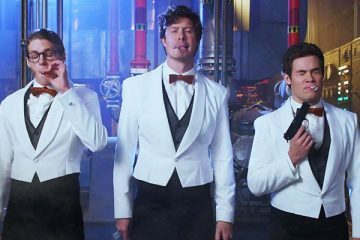 This means that the film does feel familiar and a little derivative at times, but the central three characters are well fleshed out, and get the audience on their side from the start, which keeps us engaged and curious. The film twists and turns – eventually becoming a heist movie – and almost wriggles out of Famuyiwa’s grasp, but he manages to hold on to it, just about. As director, Famuyiwa puts the kids at the centre of the film and weaves the story around them. There is plenty of heart in the film, with the kids consistently trying to keep their heads above water. Their chemistry and charisma is what carries the film for the most part, but toward the end, the entire affair begins to run out of steam. 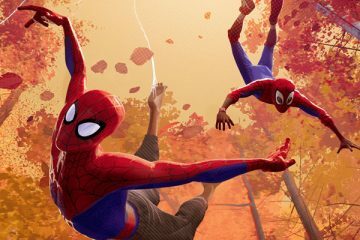 The pacing sags as the kids bounce from one situation to another and, although this is eventually clawed back, it feels more contrived than the rest of the film’s silliness combined. 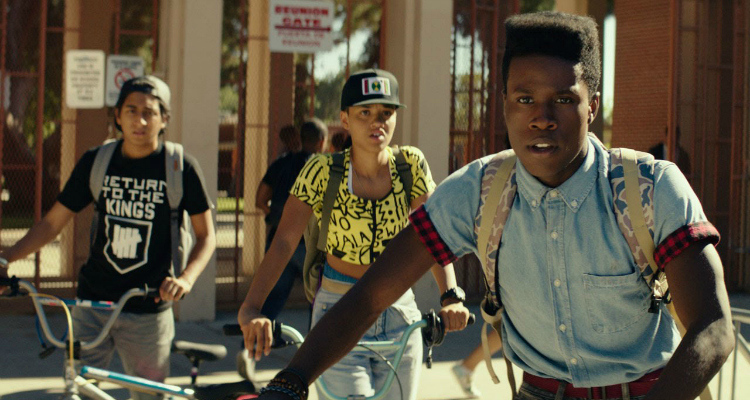 In all, DOPE is a great coming of age story with tons of heart but some serious flaws. 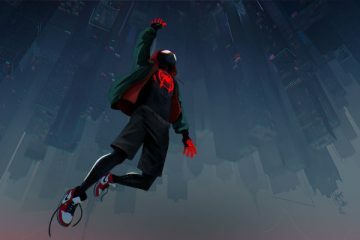 Shameik Moore, Kiersey Clemons and Tony Revolori are wonderful together, and it’s great to hear koRn turn up on the soundtrack, but the film would have benefitted from some tighter editing and less repetition.